I sent my husband a text today, "I am craving Chili's." He asked, "Are you craving their salad?" I am craving chips and salsa! What is even better is to run home and grab a jar of canned salsa and get my fix! Mrs. Wages Salsa mix is on the of easiest things to can. Approximately one bushel of tomatoes will fit into a large pot, and just add the mix. I also like to add my own veggies from the garden as well. I add jalapeno, onions and garlic. 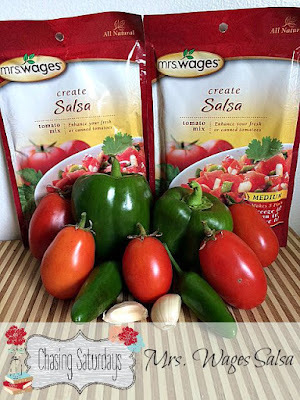 We enjoy this salsa all summer/ winter long! 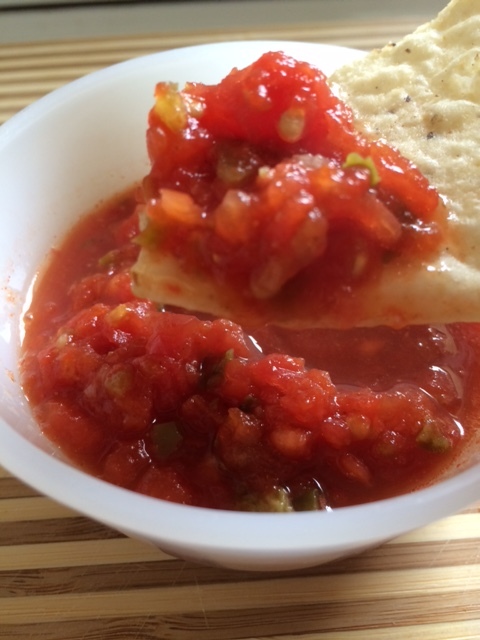 Chips and salsa are my comfort food! Can't live with out it!